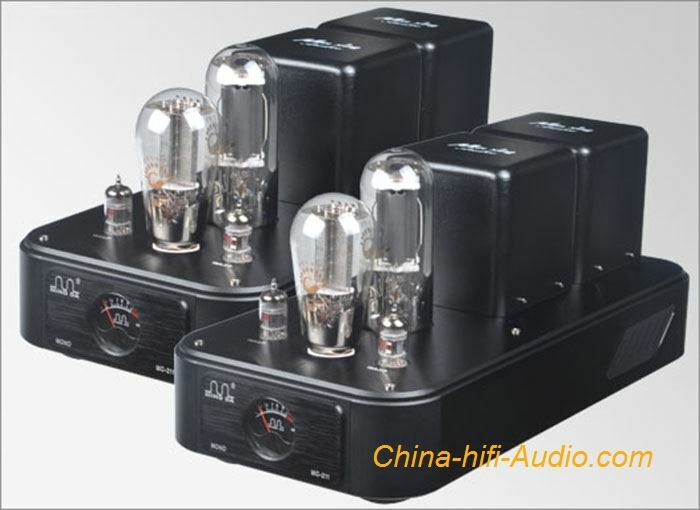 The price is for A pair of Audiophile audio vacuum Tube Amplifiers. Which is pure handmade point to point soldering, with tube protective cover . MC-211 Commemorative Version 2015 purely listed as a Class A mono pure post-amplifier, it uses 12AX7 and 12AU7 for preamplifier amplification, with audible voice 300Bn aristocratic voice 211 for terminal amplification, power output up to 16W . The commemorative edition is a symbol of the quality of Meixing electronics factory's series of products. It is a CNC machining center and CNC lathes purchased by the factory at the end of 2010. The entire chassis is made of 6mm thick aluminum alloy. The MC-211 base is made of aluminum alloy plus shockproof rubber ring, featured main electronic components: Japan imported annealed silicon steel sheet, oxygen-free high-temperature pure copper wire, Danish Jensen copper film oil immersion capacitor, silver-plated imported signal line, imported connectors, imported high voltage Electrolytic capacitor, hand-held scaffolding welding circuit, imported acrylic refined protective cover. The tone performance is comprehensive, accurate, vivid and natural. Very valuable to the purchaser. Meixing Electronics Factory has carefully developed and added a choke coil on the amplification circuit of this machine to make the 300B's driving force better. The low-frequency dive is deep and transparent. The rhythm is smooth and flexible, and the sound is natural, pure and lively. The sound field gives the viewer a rich influence. The design of this machine is novel and unique. The special power meter of Meixing Electronics Factory has been added. The process is rigorous, elegant and elegant. You can use either 2A3 or 300B as a push tube to enjoy different styles of sound. High cost performance makes it easy for wish-to-order buyers.